T.Puzzle’s hair is in a slightly awkward state. A few millimeters of growth and it will improve dramatically. Or, you could go Mad Dog’s preferred route and shave it all off again. I decided to wait it out. Since it was picture day at T.Puzzle’s school I had to take matters into my own hands. 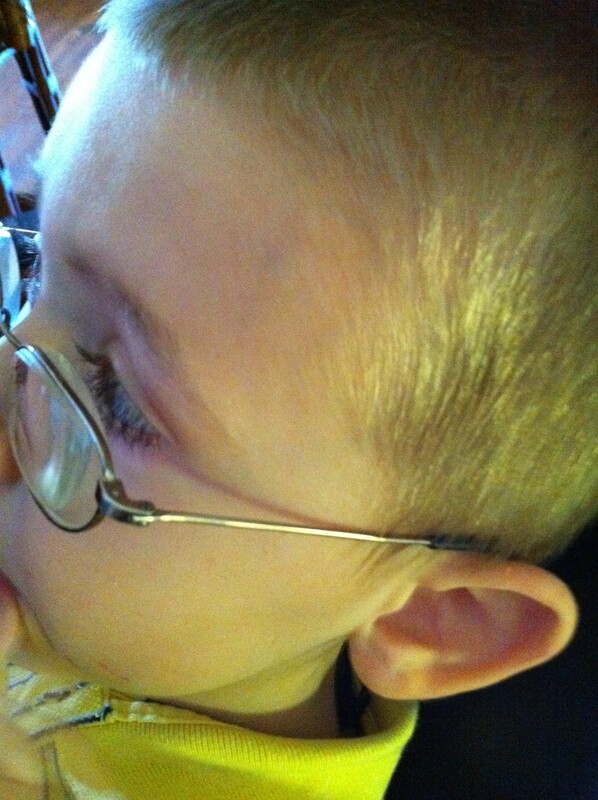 I agonizingly shellacked his hair into place. By the time school drop-off rolled around, his hair started to fuzz back into its original shape. It wasn’t great but I smoothed it down best I could, fretted that it wouldn’t be picture-perfect and went on my way. Not an hour later the school calls to tell us there was an ‘incident’. T.Puzzle ran smack dab into a door, hit his head and was minorly injured. However, a line had formed on his forehead in the precise spot his head connected with the door. I was told it was red and puffy, too. This happened right before pictures of course. Silly me. And I was worried his hair would be mussed. Thankfully, by day's end, the injury had faded significantly.